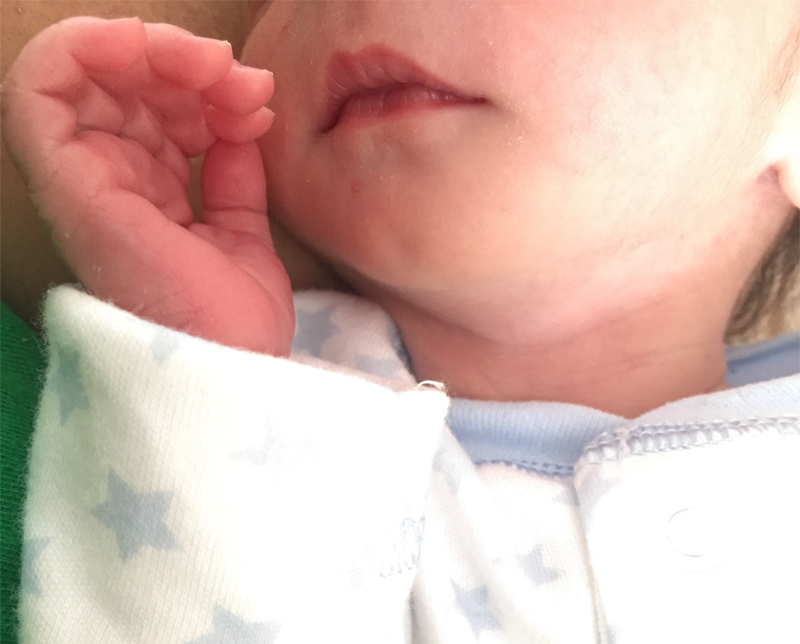 If you follow me on Instagram or Twitter you may already know that I gave birth to James, the most beautiful baby boy, on the 29th of April 2015. 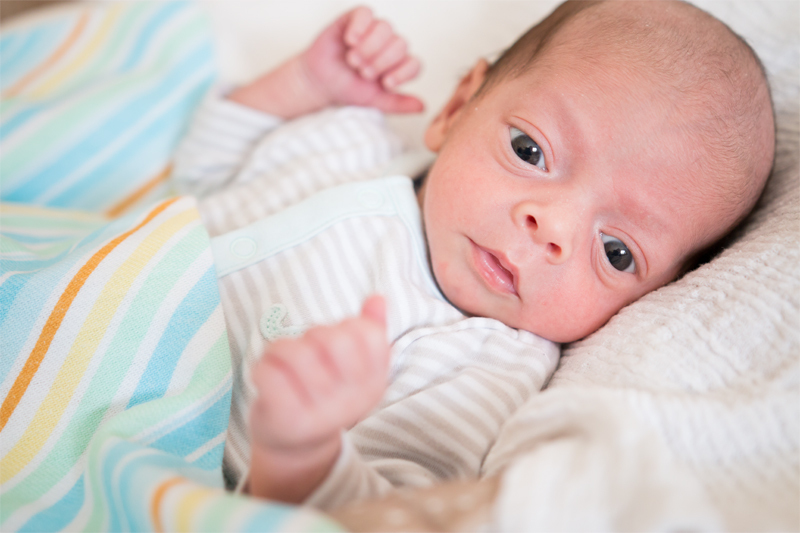 The last 6 weeks have gone by so quickly and we are slowly settling into our new life as parents of little James. We are so in love with him and I can’t imagine my life without my little boy – he’s an absolute gem of a baby and we are incredibly lucky to have him with us! As you’ve probably gathered if you have been following my pregnancy updates, James came 3 weeks before my due date and was born at 37 weeks exactly. I gave birth to him naturally and it was all over very quickly, which was a bit of a surprise to us, but the important thing is that all went well and we are both healthy. I was induced because a growth scan picked up that James was a bit small for my gestational age, so together with the doctors and midwives, we decided that because I was already full term, he was better off out of womb than staying in there and not growing to his full potential. My induction started at about 3am on the day he was born. I was told they would reassess me after 24 hours to see how things were moving along, and to be prepared because it could take 2 or 3 days until I was ready to push, especially considering this was my first baby. So I took a deep breath and tried to get some sleep, which wasn’t easy, but I managed 3-4 hours of broken sleep through the night. Contractions started at about 8am, and they were very mild. By 2.30pm I was about 3cm dilated and contracting quite regularly, but still managing through the pain with only a couple of paracetamol tablets. The doctors and midwives decided it was time to move me to the labour ward and break my waters. 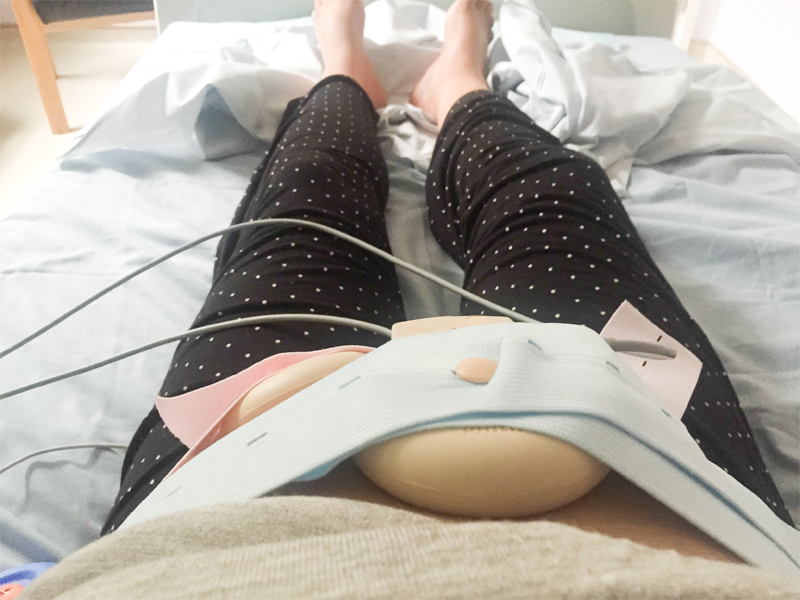 During that period, my contractions were much more regular and very intense, so I was given gas and air, which at first helped, but later on it didn’t do much at all. 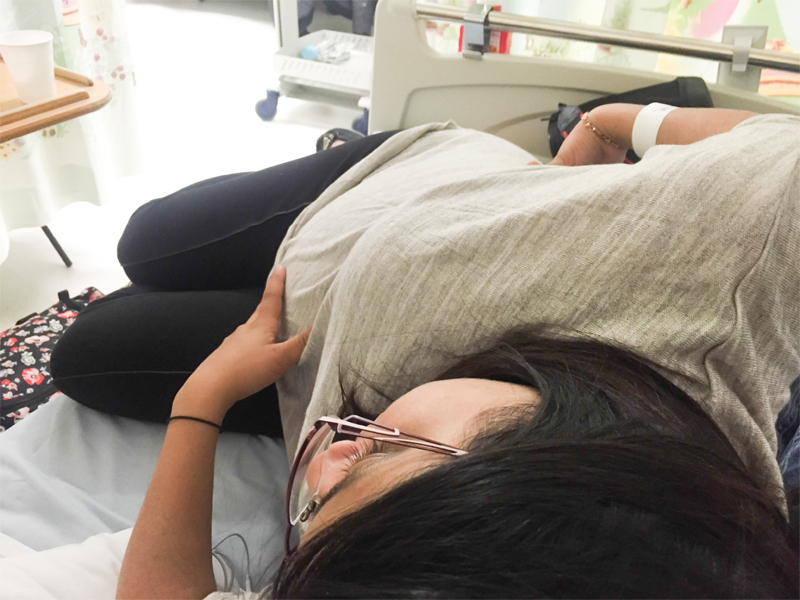 It was about 3pm when I decided I really couldn’t cope anymore with the pain and I asked for an epidural, as I thought I still had at least another 12 hours of this excruciating pain every 30 seconds or so. The doctor came at about 3.30pm to examine me to decide whether or not I was eligible for an epidural, and he said ‘you’re not getting an epidural, you’re getting a baby’. I was 10cm dilated and had dilated 7cm in an hour! Within a few seconds, my next contraction came and I was ready to push – it was the most overwhelming and uncontrollable sensation I have ever felt in my life; it was literally push or die – there was no stopping me, ready or not this baby was coming out. The midwives and the rest of the staff got in a bit of a panic because they weren’t ready for me to give birth yet, so they had to get a team together in a matter of minutes. During my first push his head was out, then a few seconds of panting in between contractions, and when the next contraction came, I pushed the rest of his body out. James was born at 3.37pm, just over an hour after I was told I was only 3cm dilated! They put him on my chest and the pain immediately disappeared! He was so little and precious, and I remember these overwhelming feelings of love, joy and relief taking over me – I couldn’t stop crying and I’m not a cryer usually! I chose to have an injection to help me deliver the placenta, which wasn’t painful at all, then I had a couple of stitches and we were done. James weighed just under 5lbs, which is quite dinky, but apart from that, he was perfectly formed and healthy. We did skin to skin immediately after he was born and I breastfed him for about half an hour straight. The whole time I had him on my chest I couldn’t believe my baby boy was here already! 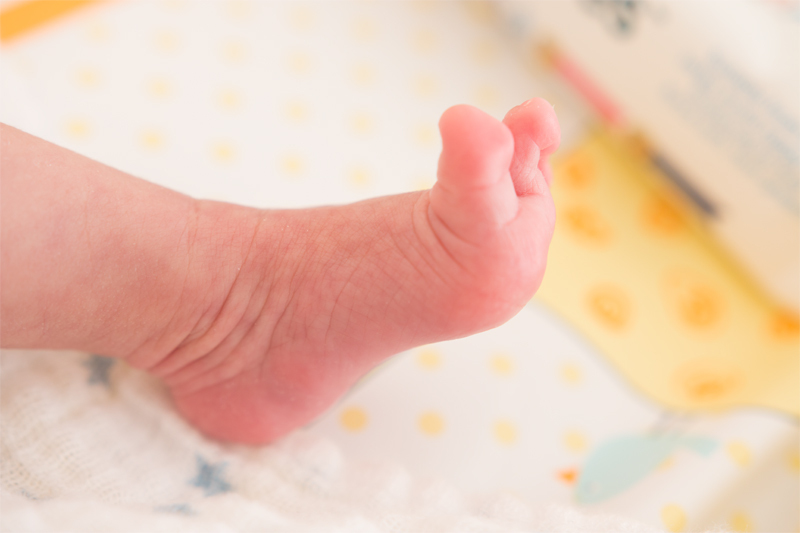 I could barely make sense of what had just happened over the last hour – it was all a bit of a blur and I’m ever so glad my husband was there to help me fill in the blanks and to support me throughout my labour and delivery. He stayed calm and collected the whole time and was really good at listening and taking care of everything I needed! So that’s my labour & delivery story – a bit unexpected but I’m so glad it all went well in the end. Because James was little when we was born, he needed a bit of extra care and attention to make sure he was steadily putting on weight. He’s been doing amazingly well and at his 6 weeks check up, which was a couple of days ago, we weighed over 7lbs 2oz already! My recovery was also pretty quick and easy; immediately after giving birth I was up and about and didn’t feel any pain at all. I still can’t believe I went through the whole thing with only paracetamol and a bit of gas and air – I didn’t know I had it in me to withstand the pain, but I did it! 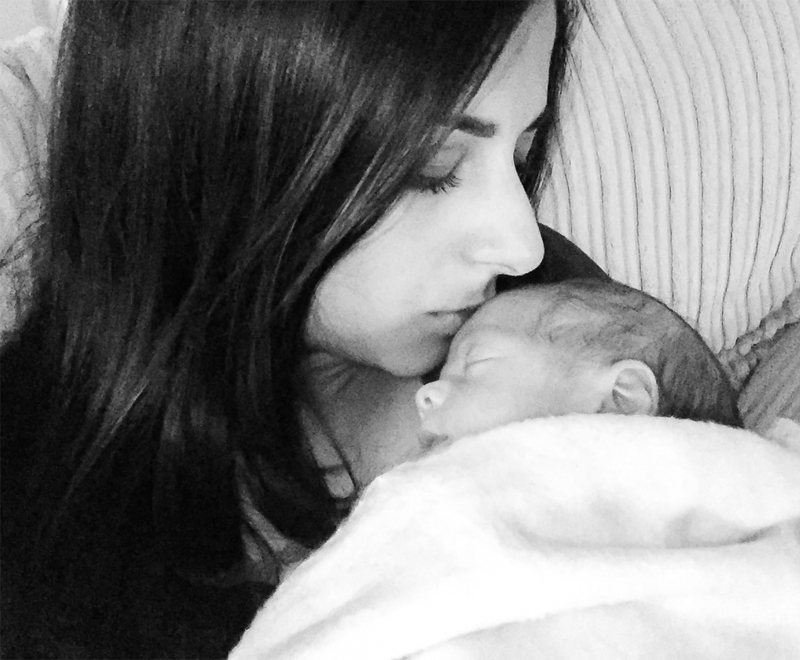 Being a mum has been an incredible experience for me! Exhausting, but incredible and special in every way. James is such a good baby and only really cries when he’s hungry or when he needs to be undressed – the boy does not like being naked! His little personally already shines through his big eyes and I can tell he is getting stronger by the day, which is very reassuring and rewarding for us parents. I hope you enjoyed reading my labour & delivery story and meeting James. I would love to read your labour & delivery stories, so if you have done a video or a blog post, please leave a link below. I will do a separate update on our breastfeeding journey and my list of essentials for a new mummy and a newborn baby’s 1st month as soon as possible! I really appreciate your support and kind comments throughout my entire pregnancy and now during James’ first weeks of life. Thank you! Outfit: Let’s Go To The Beach! Congratulations Ysis. He is absolutely beautiful. Enjoy motherhood and I hope to read more about your experiences. Stay Blessed. omg that was an amazing story! I love the pictures. Just seeing his face makes me want to cry. God bless you and your new family! I am so glad that you had an easy pregnancy..er delivery? Well, compared to other stories that I’ve heard it sounds easy. It makes me want to have children. Well, first I have to find the guy right? We women don’t just go around making babies on our own hehe. Huge congratulations! He is lovely and so cute! Baby James is adorable! Congratulations ~ I can’t imagine the pain of giving birth without an epidural! I’m the mother of a 4 month baby girl and it’s truly a pleasure to read you. Before my delivery, I read your delivery story and I read it again today and I actually got emotionnal reading your story for the second time. I guess it reminds me my own delivery.